Her scars are faint, but they are there. On her forehead and cheek. I want to know how they got there. This photo haunts me. I do not know this girl, but I do know many of her schoolmates. Maybe she fell on the wet slippery soil of the mountainside. Perhaps she was hurt from riding as a passenger on a motorcycle. Maybe she got in a fight with her brother. I can’t know just by looking at a picture that sits open on my computer screen a half a world away. I sit here looking at her photo and feel some worry in my heart. The chances of abuse are likely. There are other photos of her as well. All of them hold a look of sadness that is impossible not to notice. I begin reaching around inside myself for a happier story, but instead keep returning to this one, the one I can’t set down. I Google the distance between Bemidji, MN USA and Bududa, Uganda and am told that it cannot be calculated. Yes, that is about how far away it feels some days. I fight with the urge to simply be there, in the thick of all those uncertainties where I can at least put my arm around these kids for a few seconds or minutes or hours each day. Where I can at least look in their eyes and SEE them, even when others don’t. I am fascinated by the definitions of words lately. These days I seem to be mostly obsessed with words like JOY, HOPE, GRACE. I get stuck on upward punctuating words such as SING, DANCE, FREEDOM, FAITH. Vocabulary is a powerful thing. Language itself holds some of the deepest power available to us. 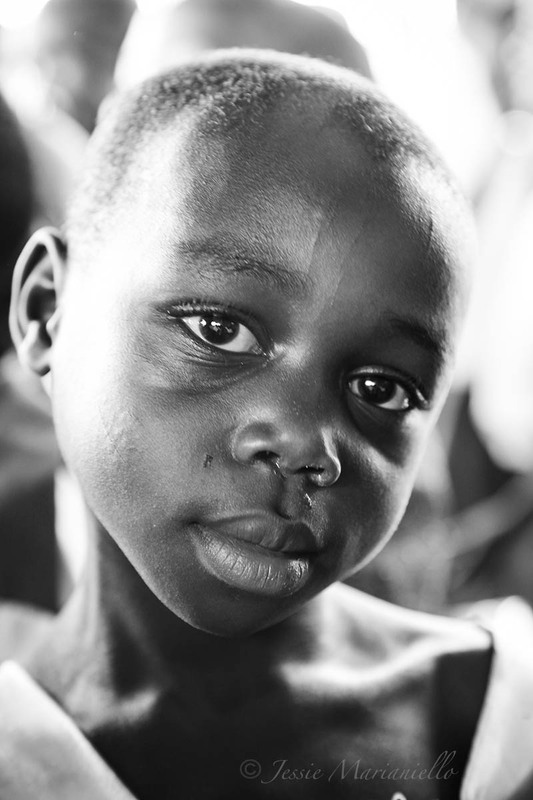 Put that word next to even a “neutral” image and it is easy to be reminded of the life that all too many Ugandan kids are living. I hate it that I don’t even know her name…as though that might somehow make a difference. Oy, this is getting dark. 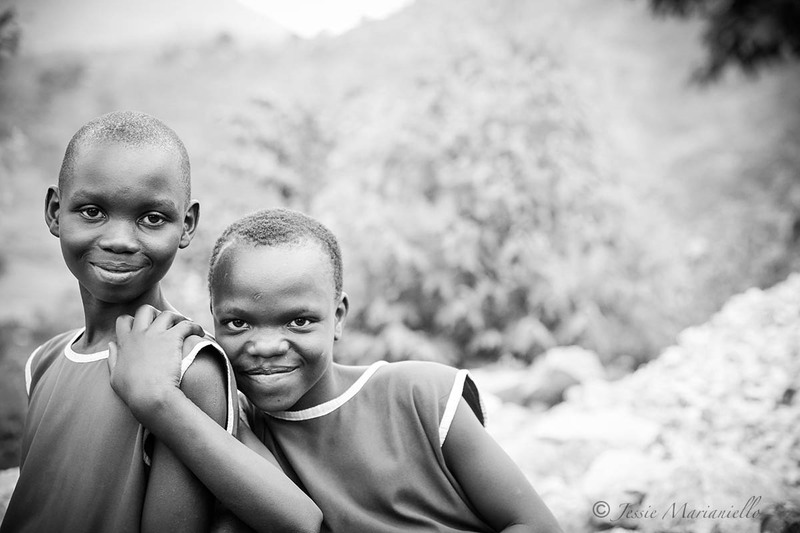 I have a lot of images of kids from the mountains of rural Uganda whose names and stories I do not know. When I took this particular photo, I didn’t even notice his torn shirt sleeves. I had grown used to such raggedness. What made me notice him was something about his silent, soulful self. I’ve done a disservice tho, you see. I didn’t stay long enough to get to know this boy. I find myself feeling annoyed by that fact. Suddenly, my camera feels useless. 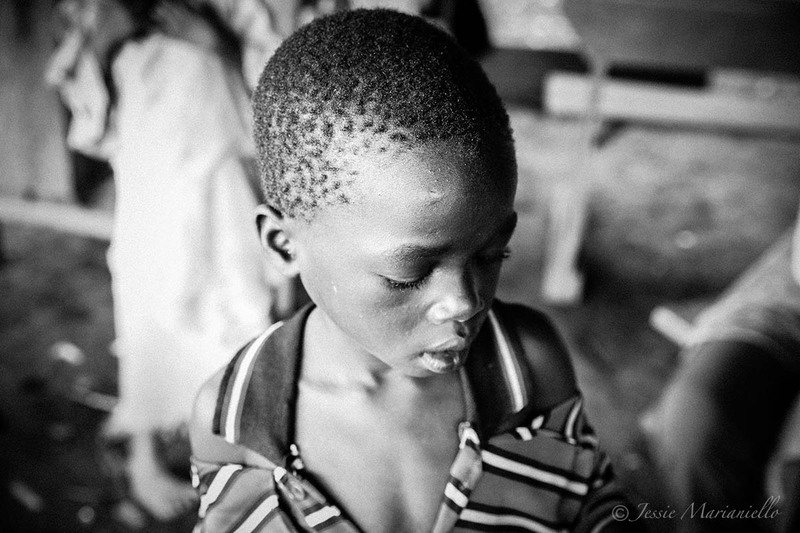 And yet…these images have etched something permanent on my heart. They call me home to a people whose names I do not yet even know. Maybe my camera is useless. Maybe my words are, too. Or maybe they are exactly the things that pull me back. I am a fine art painter by profession. My style of painting takes me a long, long time. I’ve always said that, if you look at something long enough, you will get to know it. I learned that lesson years ago, while still in my late teens. I had a journal and, in it, I taped a couple of old black and white photos of people whom I did not know. I spent a lot of time looking at those photos and, after the better part of a year, I felt as tho I knew them intimately. The same turned out to be true when painting. Whether it was a person or a dog, by the time I had applied the last brush stroke, I found that I had grown to know that person or animal from the inside out. To realize this has been a perfectly humbling experience every time. Vulnerable. To be exposed. Unguarded. or disappeared into the darkness. all the desperate places where darkness and the things of death once stood. Put us in each other’s paths. Show us the way. Give us the eyes to see, the hearts to feel, the grace to understand. Light hope like a fire somewhere deep inside us. Tinder and spark. Lead us even further to Joy. Use our scars to create a more useful landscape. Burn us clean so that we might shine bright because of You. Help me to stand in the face of vulnerability, even my own, without turning away. Give me a new song. Your way is not the way of the world, but dear Abba, I trust You.